Scarlet, from the Latin Scarlata, was originally a precious woollen cloth used in Medieval Europe. The colour is synonymous of rarity and luxury as it was extremely expensive during the Renaissance and was used by famous textiles manufacturers in Tuscany. Red Scarlet carries the symbolisms of red, it is the colour of flames, love and strong passion and power. 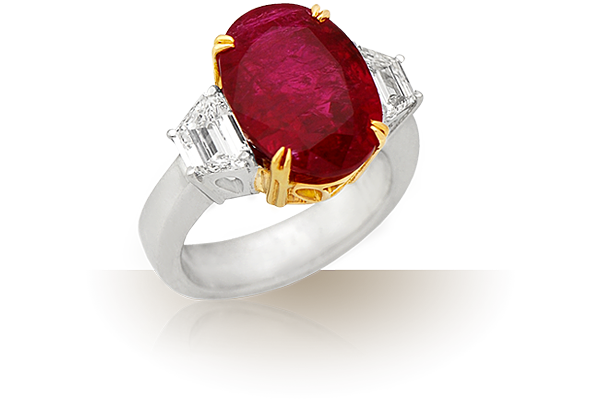 The Scarlet collection features classy and timeless designs of rubies adorned by gleaming diamonds. Each jewel of the collection is an exquisite example of the highest level of craftsmanship and grace.